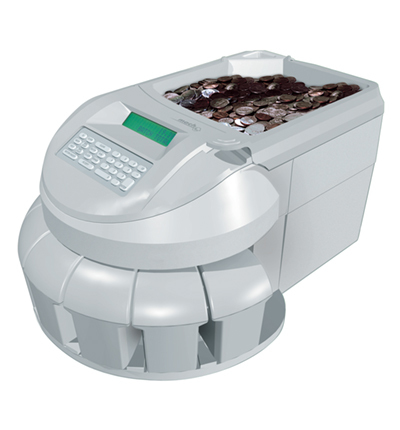 The MACH 6 is a medium use commercial grade coin processor and counter that is fast (3,000 coins per minute), accurate and versatile with best-in-class speed. Coins can be sorted into drawers or bags. The Coin Signature Detection System (CSDS) option checks coins four ways to determine authenticity, and rejects foreign coins and tokens that are not set up for counting. Please call for pricing as many options are available to fit your needs.